Property 3: LAKE ANNECY RIVER WEST- St-JORIOZ LAKE CENTER "WARM AND CONVIVIAL"
Property 12: Lovely house with big garden, nicely located. Property 20: Charming property in unspoilt hamlet close to the lake. Property 29: Spacious Cottage Like Duplex, Quiet and minutes away by foot to everything. 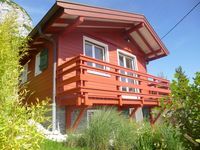 Property 31: RENTAL VILLA VERY GOOD STANDING LAKE ANNECY for 8 p.